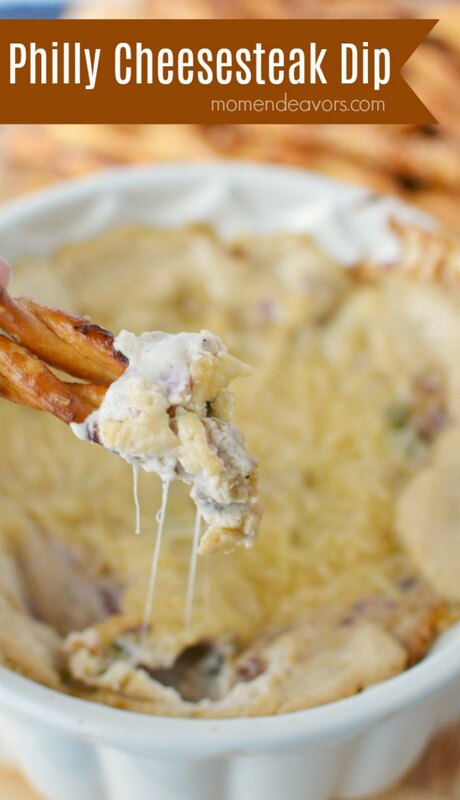 If you like Philly Cheesesteaks, you’ll love this easy-to-make Philly Cheesesteak Dip! 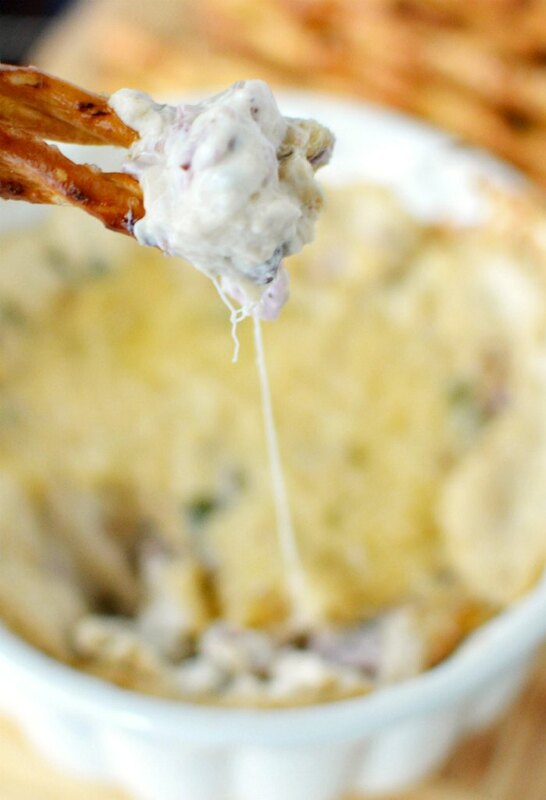 All the flavor of a Philly Cheesesteak in a creamy, cheesy dip! Heat oil on medium heat in a large skillet, add onion, pepper, mushrooms. Begin cooking, then add beef. Cook until onions are translucent and vegetables are tender. Season with salt and pepper as desired. Remove from heat. Add in cream cheese, sour cream and provolone cheese and stir until mostly melted (if necessary, return to medium low heat while stirring). Spoon mixture into a small baking dish and sprinkle with Parmesan cheese. Serve with pretzels, crackers, or bread slices. Delicious and definitely perfect for football watching! 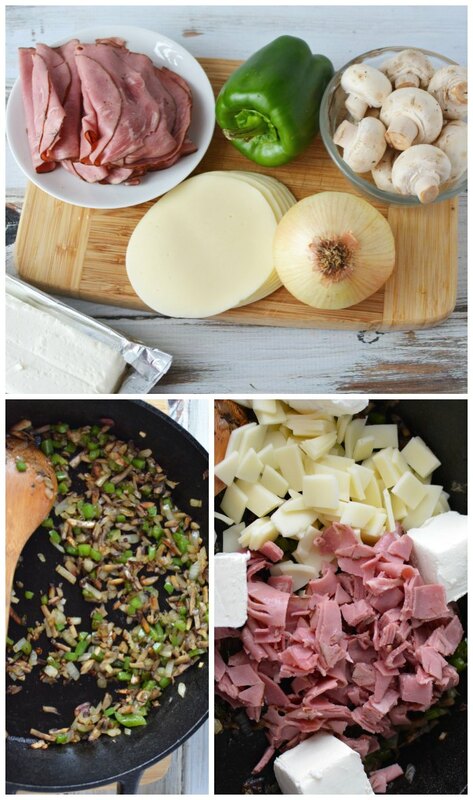 So, be sure to pin this for later and make this for your next tailgate or football party!